Discover our favourite hotels, restaurants, nightlife and things to do in Rio de Janeiro right now. This insider's city guide has been a long time in the making. 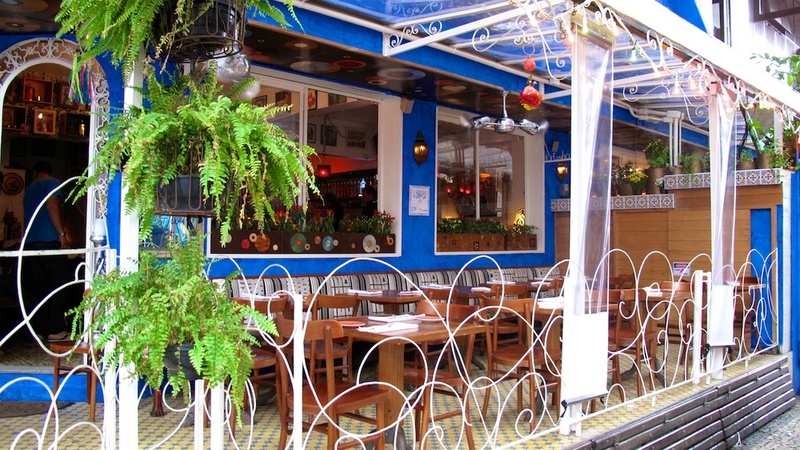 We've eaten in countless Rio de Janeiro restaurants, dined in the best local eateries and visited the latest hotspots. We've also asked the most discerning Rio de Janeiro locals we know to share their favourite hangouts – whether brand new or classic institutions. We bring you our hand-picked selection of our favourite places in Rio de Janeiro. Whether you're looking for the ultimate design hotel, a cosy boutique hotel, or an ultra-cool apartment, here is our pick of the best places to stay in Rio de Janeiro. An intimate hideaway in the heart of Rio de Janeiro's city centre. Whether you're looking for a fabulous foodie dining spot, the city's best beachfront cafe, or a see-and-be-seen restaurant, here is our pick of the best places to eat in Rio de Janeiro right now. Whether you're looking for a stylish rooftop bar, a cosy cocktail bar, or the city's coolest late-night club, here is our pick of the best places to party in Rio de Janeiro right now. A stylish yet relaxed lounge bar removed from the hustle and bustle of Downtown Rio de Janeiro, Bar Dos Descasados at the Santa Teresa luxury hotel is a casual-yet-cool lounge bar surrounded by Rio’s natural beauty. The expertly-curated wine list and the wide selection of cachaças and liquors is also a highlight of the experience. Don't miss these incredible Rio de Janeiro museums, art galleries and cultural landmarks. One of the most dramatic landmarks in Rio de Janeiro, the breathtaking Christ the Redeemer statue soars high above the city, creating a dramatic backdrop against Rio de Janeiro’s spectacular mountainous landscape. As one of the seven wonders of the world, the statue is located in the Tijuca Forest and stands over 130 feet tall. Named in the 1600s after the block of sugar it resembles, Rio de Janeiro's iconic Sugar Loaf Mountain is another must-see landmark. An imposing cone of granite rock, the mountain towers 1,300 feet above the ocean. From the summit, you can see Guanabara Bay, Copacabana, the city of Niteroi. The best way to discover Sugar Loaf is by taking a scenic cable car ride; the two-stage journey begins in Praia Vermelha, with cable cars departing every 15 minutes. As one of the world’s most famous beaches, Copacabana Beach is located in the heart of Rio de Janeiro’s Copacabana district. Its iconic curved beach and seaside promenade showcases turquoise-colored water and white sand, making it one of Brazil's most famous attractions. Nestled on the top of Santa Teresa Hill, the winding streets and picturesque views of the Santa Teresa district is a must-see area to visit in Rio de Janeiro. Take the historic tram - the only remaining line in the city - to the top of the hill and discover its cobbled streets, art galleries and colonial houses. A bohemian quarter, this charming district is a magnet for artists, with sweeping views of the bay and the city below. The Museum of Modern Art (MAM) in Rio de Janeiro was created as a cultural hub with modern art at its roots. The MAM (as it is known locally) also houses lecture spaces, classrooms and a large theatre for concerts and film exhibitions, alongside its extensive Modern Art collection of over 11,000 pieces. This landmark example of 1950’s modern architecture was designed by Affonso Eduardo Reidy using concrete, where its towering geometric ‘ribs’ create breathtaking open walkways. Ipanema Beach offers clear waters, fine white sands and a vibrant beach scene. Discover locals playing action-packed games of beach volleyball and football or lazing on deck chairs soaking up the sun. The neighbouring Leblon Beach is equally picturesque and attracts a more tranquil crowd. Leblon's rolling waves are perfect for surfing, attracting Rio’s avid surfer community. The Lagoa Rodrigo de Freitas is one of Rio de Janeiro's most popular attractions for visitors and locals alike. The area surrounding the lagoon is ideal for walking, jogging and cycling. The Parque do Flamengo (Flamengo Park) was constructed in 1965 by renowned architect Lota de Macedo Soares and its gardens were designed by Roberto Burle Marx, a famous Brazilian landscaper. This spectacular park is home to over 170,000 trees and is situated on 1.2 million square meters of verdant land. Rio's annual Samba Parade is one of the most important annual events in Brazil. Attracting millions of locals and visitors to Rio de Janeiro every February, the Sambodromo is the main event of the celebrated Rio de Janeiro Carnival, a tradition dating back to the 17th century. Samba fans can watch the highly skilled dancers give the performance of a lifetime, making the festival a magnet for samba enthusiast from all over the world. Football is the national sport of Brazil, where the Brazilian people maintain a fiery, passionate love affair with the game and its players. The Estádio do Maracanã football stadium in Rio de Janeiro opened in 1950 to host the FIFA World Cup, and has since been used to host games between the major football clubs in Rio de Janeiro. There are four major teams based in the city, including Botafogo, Flamengo, Fluminense, and Vasco da Gama. Situated in the heart of the idyllic Costa Verde, Paraty is a colonial gem. For two centuries, the port was used to transport gold from the mountains of Minas Gerais to Portugal. Discover typical colonial architecture in the whitewashed churches and cobbled streets of its pedestrianised old town, where buildings have remained unchanged for over 250 years. Paraty is also the starting point for the National Park Serra da Bocaina, and its bay is dotted with beautiful tropical islands.